Genesis is ready to offer us a new model for the 2019 model year which is called the G70. This will be the first truly new model offered under this new luxury brand in its early history and the car is one that appears to be ready to impress us as the smallest and most aggressive model from this brand which is still in its early years. The new G70 has been the topic of many discussions over the years to give us a car that looks amazing and should be a lot of fun to drive. Over the history of the Genesis name, which takes us back to the Hyundai Genesis model, this car has always been a luxury car that offers the sporty driving dynamics we want. This blend of quality materials, luxury features, and engaging driving dynamics made the Genesis one of the most sought after cars on the market and allowed Hyundai to branch out and create a luxury brand with this name being used as the brand title. As the Genesis brand was created, two models were brought under the brand which were formerly the Hyundai Genesis and Hyundai Equus both of which have been renamed to Genesis G80 and Genesis G90. As the new G70 makes its way to the market to be one of the cars that we want to drive from this young luxury brand, Genesis has announced it will be offered with a six-speed manual transmission for the drive you may want to enjoy. This version of the car will be offered in the US and it will likely be the same as the one offered in Canada which means the manual is only available in the 2.0T Sport trim which includes a limited-slip differential, Brembo brakes, 19-inch wheels, a head-up display, and 16-way power front seats. The engine under the hood of the manual model will be a 2.0-liter turbocharged four-cylinder engine that makes a full 252 horsepower for the fun you want. This lighter and smaller car can feel quick and aggressive when you take it out on the road to enjoy the ride and let it offer you the driving experience you’re after. The fuel numbers for this model show up at 18 city/28 hwy mpg to give you a reasonable number that can be right for you every day. As it compared to the automatic transmission models, the RWD version gives you 22 city/30 hwy mpg and the AWD model with the V6 engine will be good for 18 city/25 hwy mpg. This manual model will be an excellent choice between these two to give you the fuel numbers you want and the ability to row your own gears when you’re ready to head out on the roads and have a great drive. 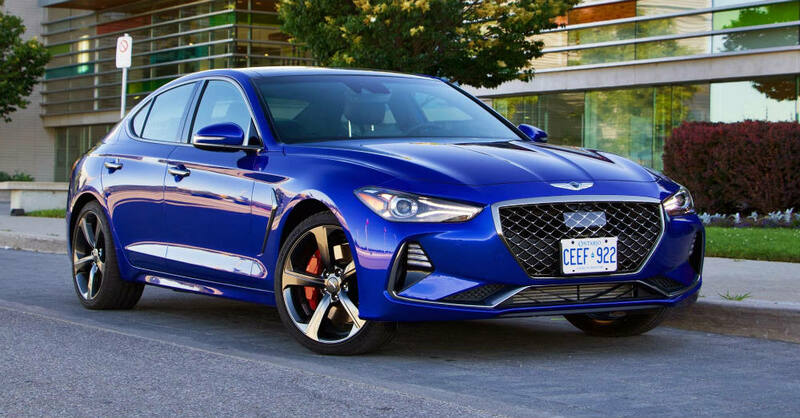 The new G70 certainly captures our attention and offers the driving dynamics that harken back to the days of the early Genesis models that became the luxury brand we see today.